Homes starting from the $600’s! 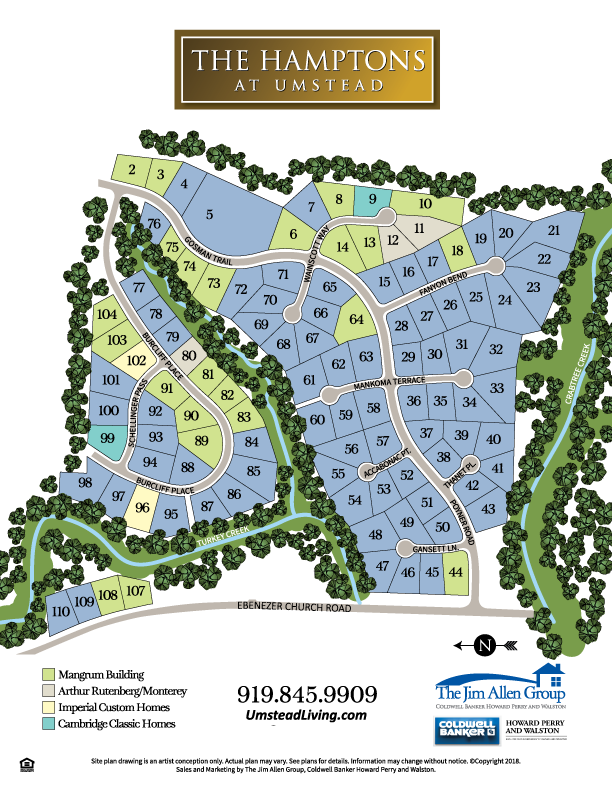 The Hamptons at Umstead is a stunning luxury home wooded community in the heart of the Northwest Raleigh. Residents enjoy views of nature’s surrounding while visiting the pool or enjoy a workout. The Hamptons at Umstead offers residents access to a new multi-level clubhouse equipped with a fitness center, lap pool, complemented by a children’s play area. Located across the street from Umstead State Park gives your family unlimited nature experiences with fishing, hiking, biking or horseback riding on miles of trails through the densely wooded park. Active residents enjoy year-round community events and seasonal activities. We have Luxury custom homes with incredible amenities that are just minutes from all the Triangle has to offer. The Hamptons at Umstead, ideally located near major highways, I-40 the new I-540 provides easy access to work, shopping, and nearby recreational activities. Take Wade Avenue to Edwards Mill Rd. Take the Edwards Mill Rd/Carter-Finley Stadium exit from Wade Avenue, Continue on Edwards Mill Rd and Turn Left on Duraleigh Rd. Turn left onto Ebenezer Church Rd, then Turn Right onto Poyner Rd.